It started with candy canes. Lots and lots of candy canes. In the late 1990’s, residents of Indian Hills subdivision in Rantoul began decorating their homes and yards with candy canes. Today, Candy Cane Hills boasts an “array of talent and creativity at each house”– candy canes, snowmen, sleighs, wreaths, and a multitude of colorful lights adorn each residence, says Shreves. 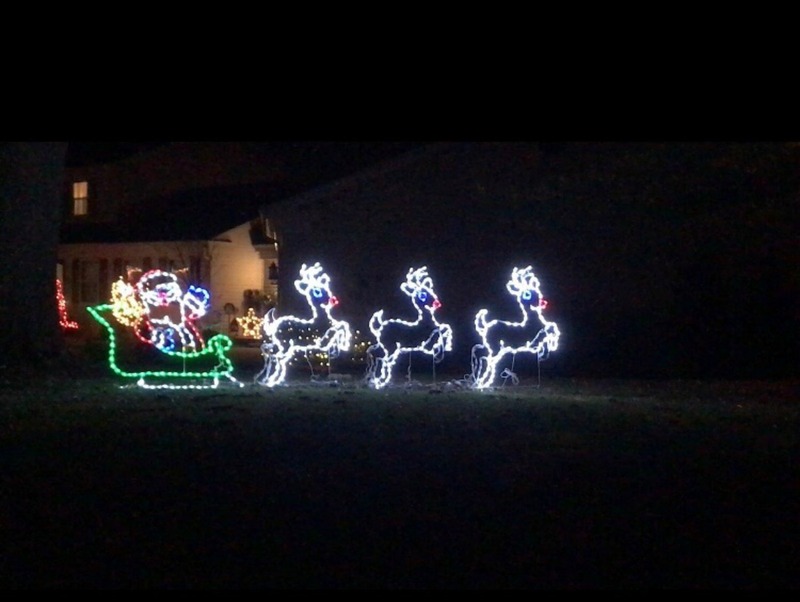 “We enjoy doing this together as neighbors and keeping the holidays festive,” she added. Candy Cane Hills (Indian Hills subdivision), is located on the west side of Rantoul. The holiday display will be open until Dec. 31 from 5-10 p.m.
It’s easy to get to and not far from the Interstate, if you’re coming from Champaign-Urbana. Take Champaign Avenue (Route 136) west to East Drive, just past the McDonald’s. Follow East around until Indian Hills Drive. Candy Cane Hills includes Indian Hills Drive, Niepswah Drive, and surrounding streets. For more Christmas beauty in Rantoul, many houses on Champaign Avenue – the main drag into town – are festive as well. Looking for more spectacular light displays? Check out our Holiday Lights Guide! For all things holiday in Champaign-Urbana, including more lights in Central Illinois, see our GIGANTIC Holiday Fun Guide. Want to know all things holiday in Champaign-Urbana? Sign up for our Ho Ho Holidays email newsletter every day from December 1-24. Click to sign up today.